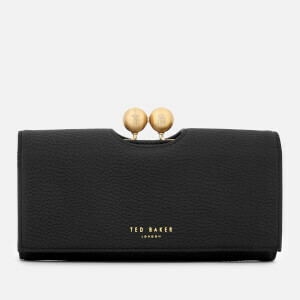 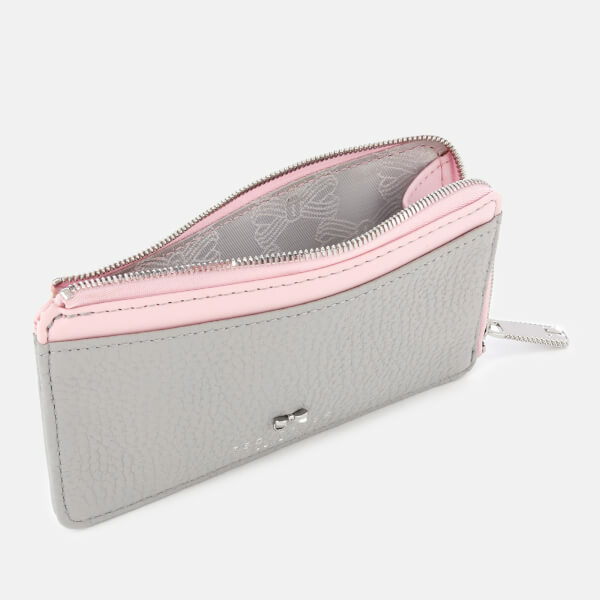 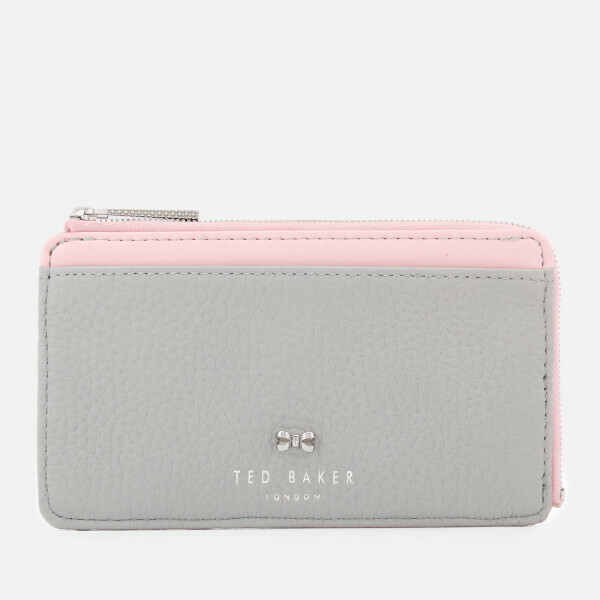 Ideal for storing cash and cards, the 'Lotta' credit card holder from Ted Baker showcases a sleek, compact design for use on-the-go. 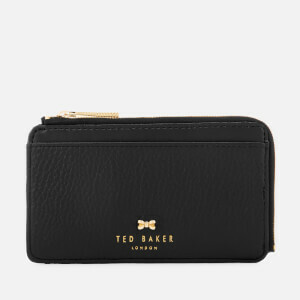 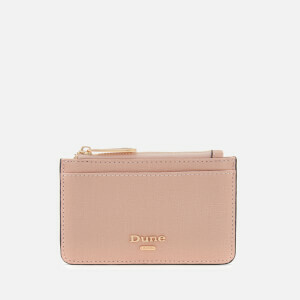 Crafted from textured bovine leather, the small purse features a zip fastening and a bow print lined interior. 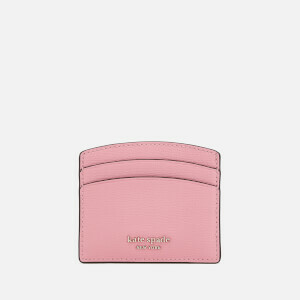 Full length slip pockets to the front and rear. 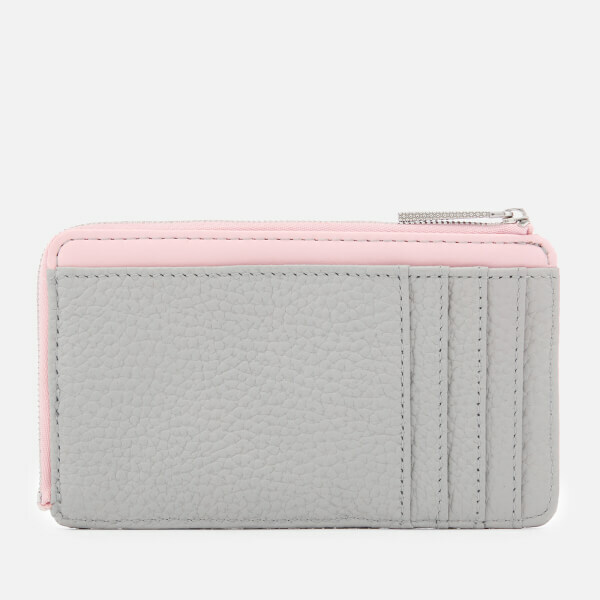 Complete with silver-toned hardware and four card slots. 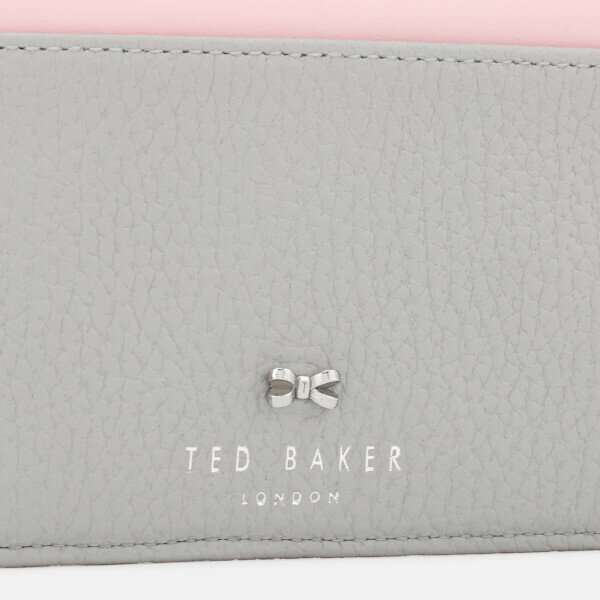 A mini bow embellishment and foil branding lend a signature finish.